This is a 4 wide replacement connector for the MIC-01 Cable . The existing 4 wide 5.08 mm plug is swapped with the new 4 wide 3.81mm plug as shown. 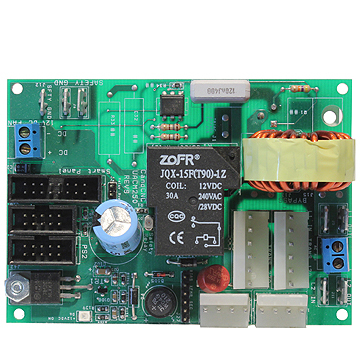 Wires connect in the smae order . New plug fits PMWIIA module. 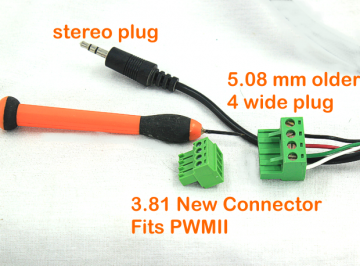 Designed to upgrade the older MIC-01 cable for use with the PWMIIA this is basically a replacement connector so the 4 wide will mate up to the newer PWMIIA product currently shipping. 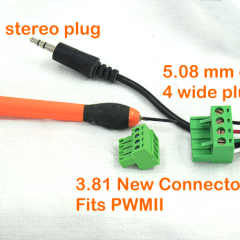 You can order a PWMIIA and this mod kit to be able to use the MIC-01 cable with the newer PWMIIA. 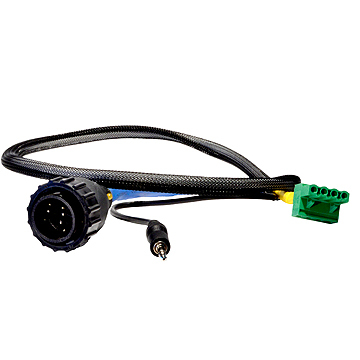 NOTE: Because this cable has no internal filtering, it is not recommended for use with the PWMII.